SAN JOSE, Calif. (KGO) -- A school in San Jose is helping make the holidays a special time for children in need. Presentation High School loaded up 175 bikes all donated by alumni. 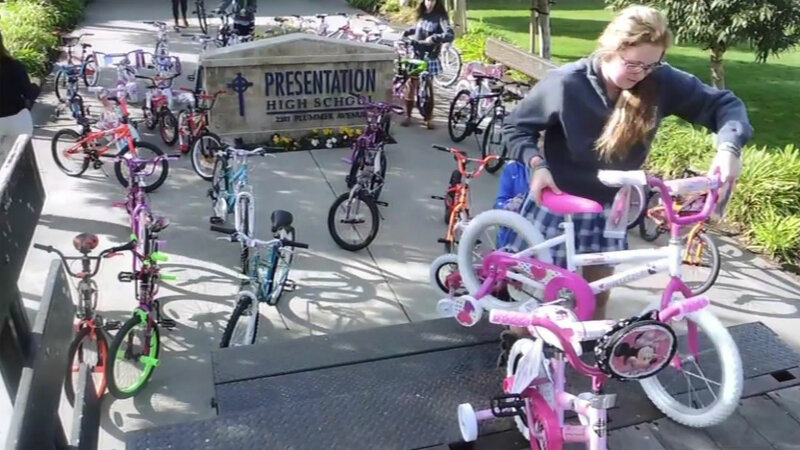 The bikes will be given out by Sacred Heart Community Service on Dec. 22 and 23 to children in the San Jose area. Students are now collecting helmets and locks to go along with the bikes.